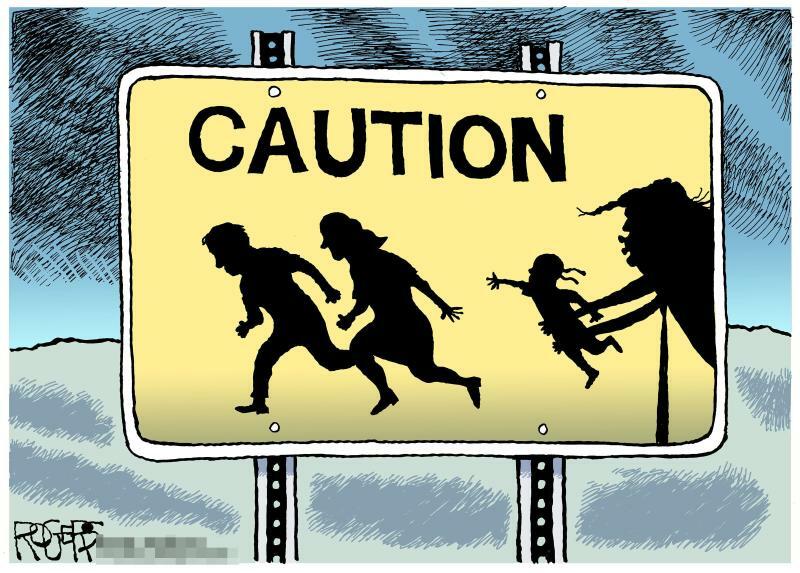 A veteran editorial cartoonist for thePittsburgh Post-Gazettewas fired Thursday after he and the newspaper’s management clashed over some sketches critical of PresidentDonald Trump. Rob Rogers, a Pulitzer Prize finalist who had been with the Post-Gazette for 25 years, announced his own ouster on Twitter. Earlier this month, he’d revealed that he was working through“unresolved” issues with the paper’s leaders over certain cartoons that they’d declined to publish. The Thursday meeting in which he was fired, Rogers said, was the last of several he’d had with the human resources department since the paper’s editorial director, Keith Burris, began cracking down on his cartoons. Since March, the Post-Gazette had axed 19 of his cartoon drafts and proposals without explanation, Rogers said. Over the course of a typical year, he noted, only a couple of his submissions would be rejected. 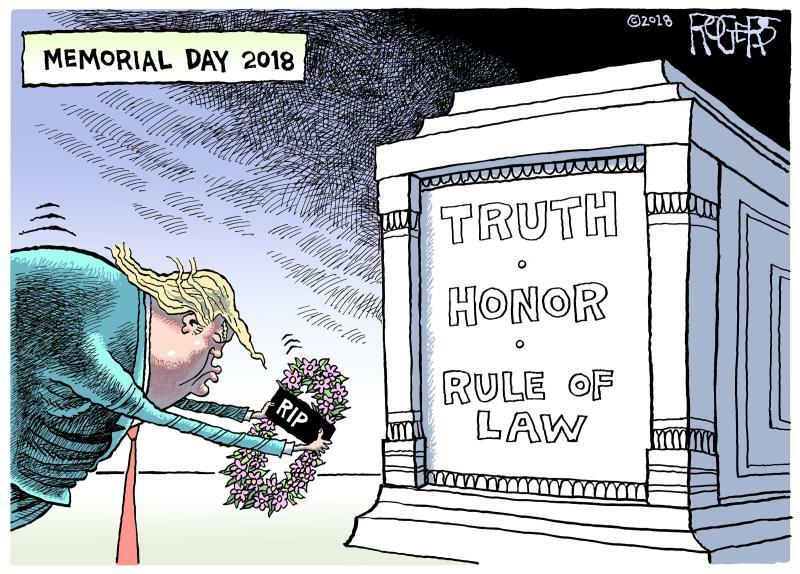 Rogers’ concerns mounted when he said the paper rejected six of his ideas in a row starting on Memorial Day, including one that depicted Trump laying an R.I.P. wreath before a tomb reading “Truth, Honor, Rule of Law” and another showing the president separating undocumented immigrant children from their parents. 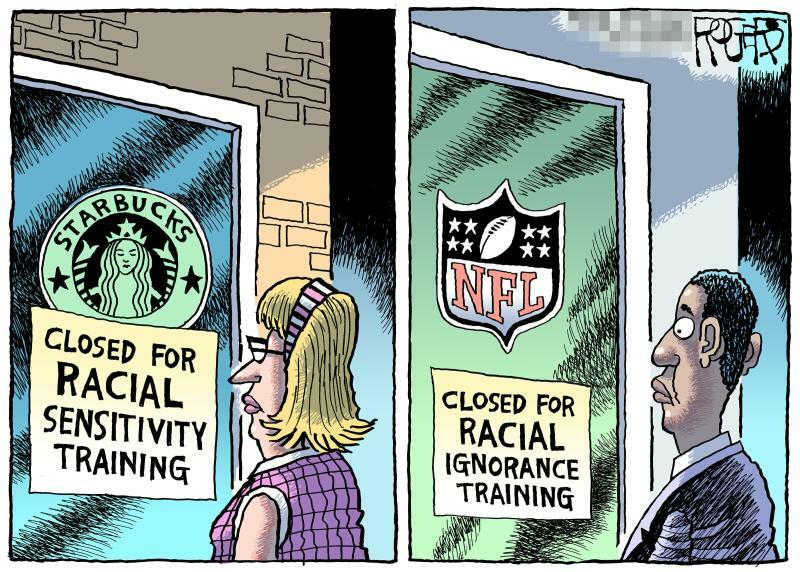 Rogers estimated that about 90 percent of the rejected cartoons were Trump-related. Some others that were spiked involved issues linked to the president, such as drawings commenting on thecancellation of “Roseanne”or NFL protestsduring the national anthem. 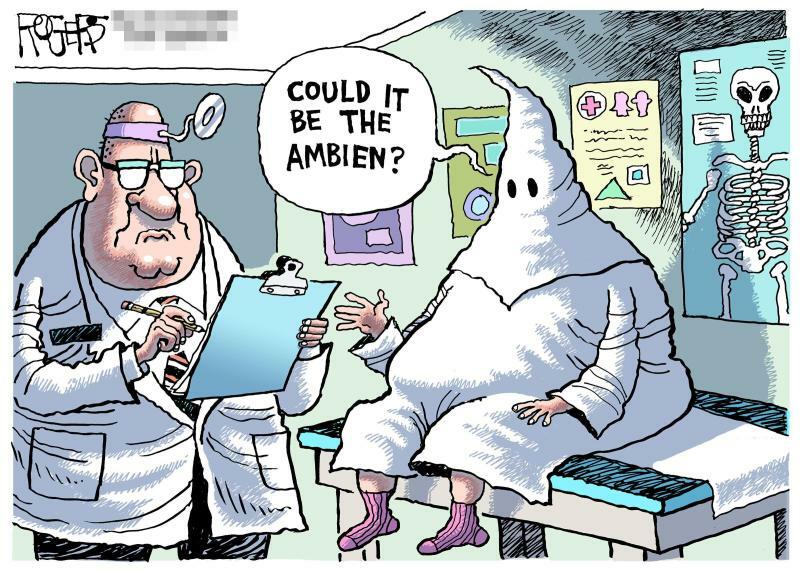 The cartoonist suggested that his firing ― and what it represents ― is more of a loss for the Post-Gazette’s readers than it is for him. A broader push for less negative Trump coverage in the paper has been linked to John Block, its conservative publisher, and to Burris, the editorial director. Around the time that Trump announced his candidacy for president, Rogers said, Block began leaning on the paper’s editorial section to publish more Trump-friendly pieces. In January of this year, according to the paper’s Twitter account, Block asked that the term “shithole countries,” which the president had just used to much criticism, be removed from the top of an Associated Press story that ran on the front page. The phrase “vulgar language” was substituted. Our publisher is requesting us to remove@realDonaldTrump's "vulgar language" from the lede in our@APstory about his vulgar language. Block also raised eyebrows during the 2016 campaign when he shared a photo of himselfposing with Trumpon the candidate’s plane. Burris has come under fire for writinga January editorial defending Trump’s aforementioned “shithole countries” comment ― which was aimed at Haiti, El Salvador and African nations ― as not racist. Burris and other editorial leaders at the Post-Gazette did not immediately return HuffPost’s request for comment on Rogers’ ouster. Rogers said his work will continue to be published in other publications through Andrews McMeel Syndication.